The optional C-Stand Adapter Kit for the Digital Juice Slyder Dolly consists of a set of 2 adapters that let you quickly, easily and securely attach the Slyder Dolly to any 2 C-stands/grip stands in order to accomplish a variety of more creative angled shots (slanted, canted, vertical), not possible with tripod only. 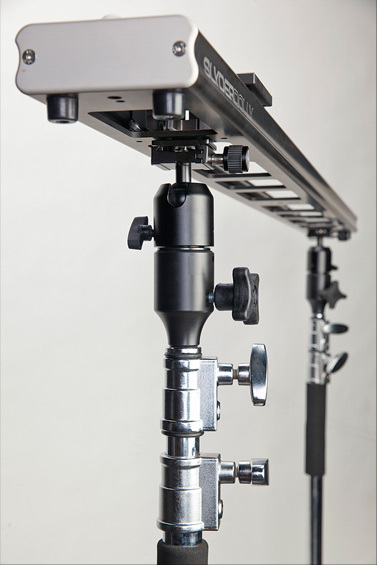 The quick-release wedge plate on the top of the unit gives you the freedom to move the dolly on and off the C-Stands quickly and easily, while the swivelling ball head lets you change the angle of the dolly and then lock it into place when you are ready to shoot. 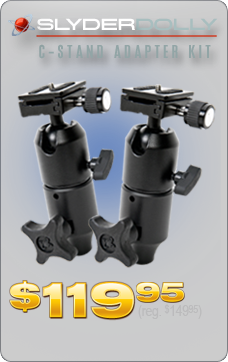 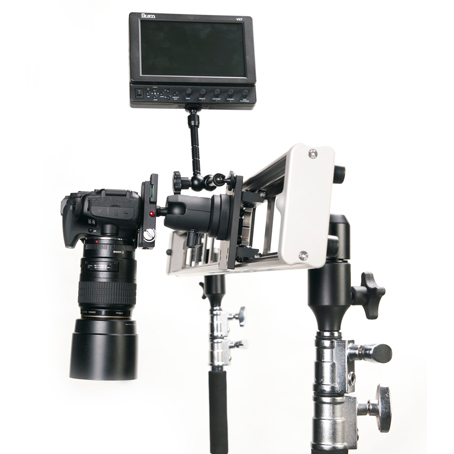 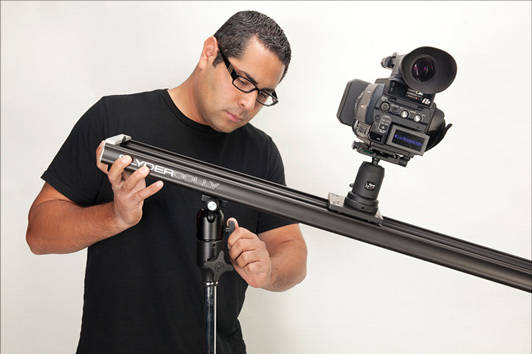 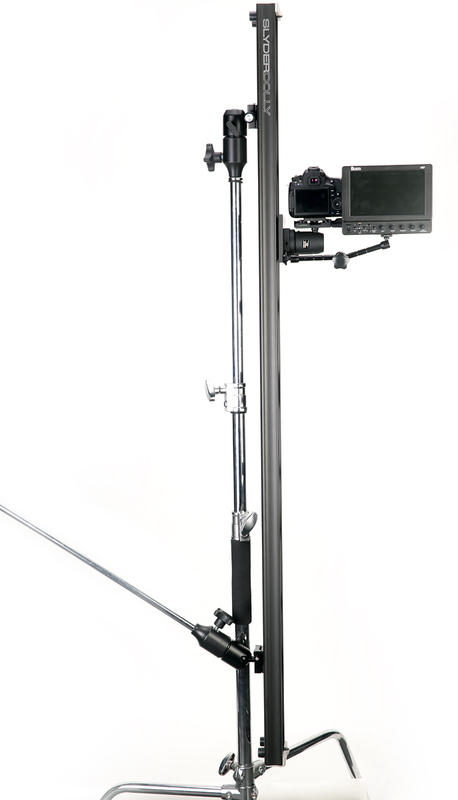 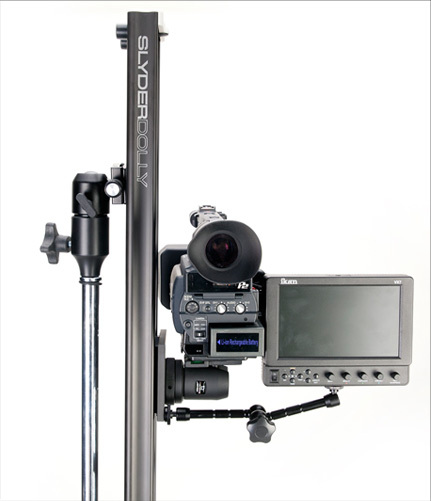 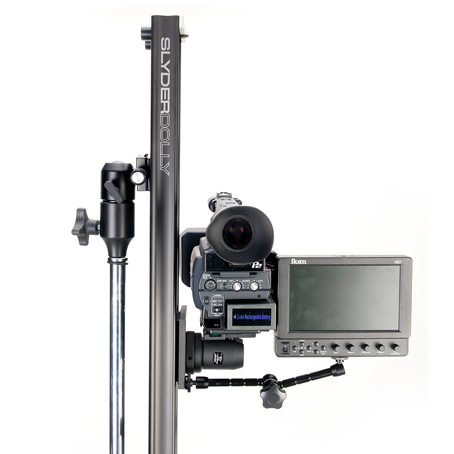 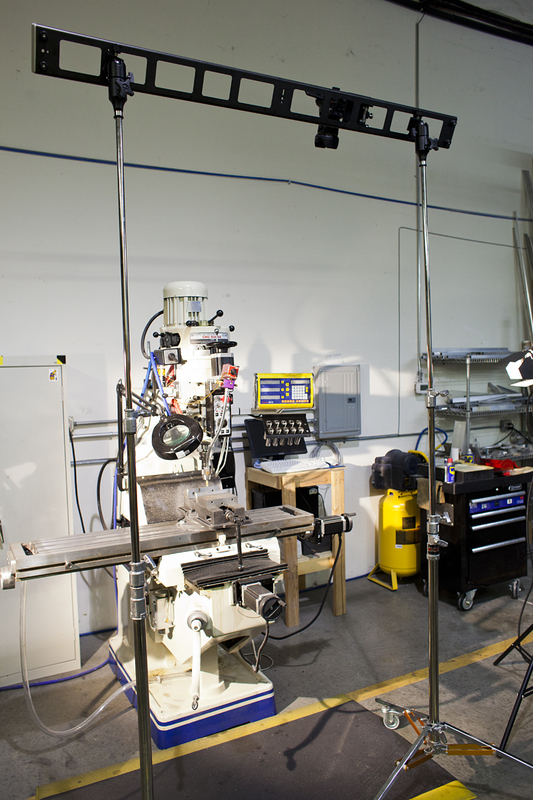 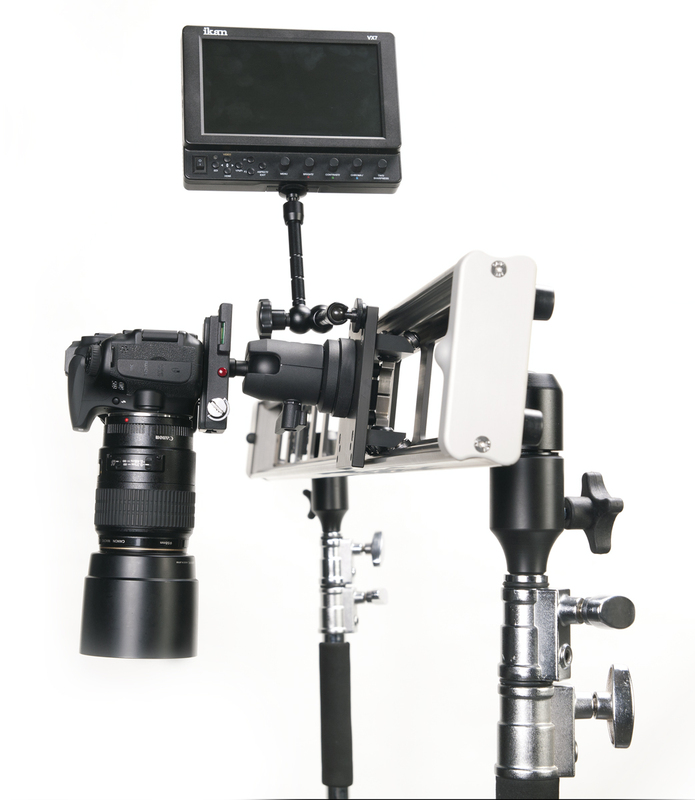 This kit greatly increases your shooting possibilities when using the Slyder Dolly. 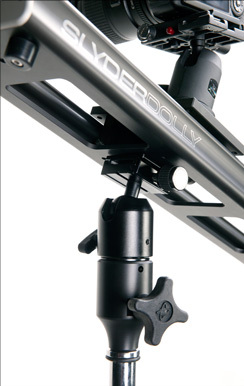 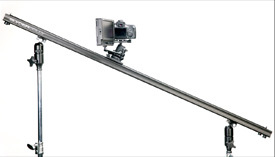 It allows you to get your camera up off the ground or table and set it at eye level wherever you need to shoot. 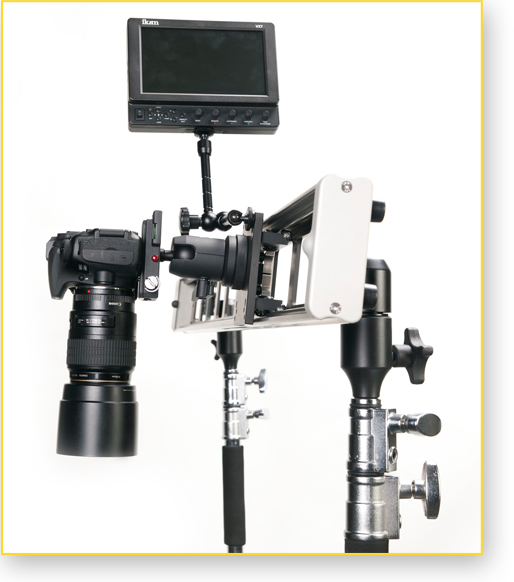 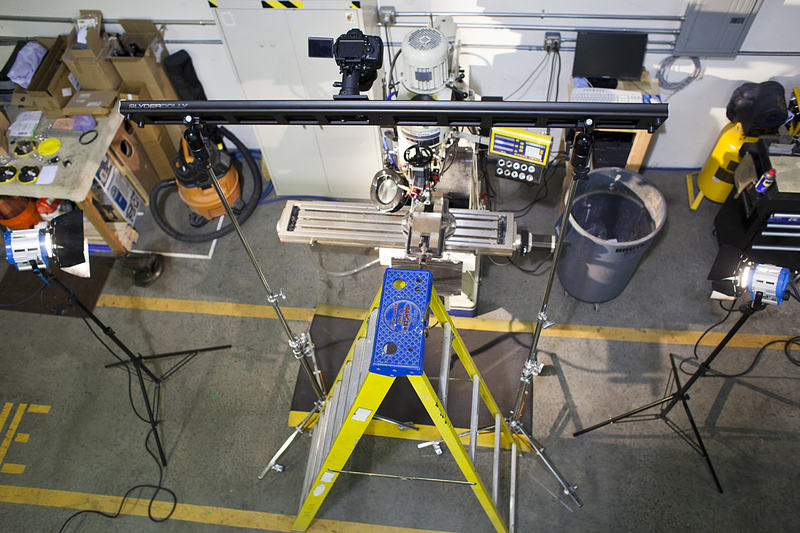 You could even place your camera high above the action at the maximum height of the grip stands and tilt the dolly down to get a more dramatic shot. 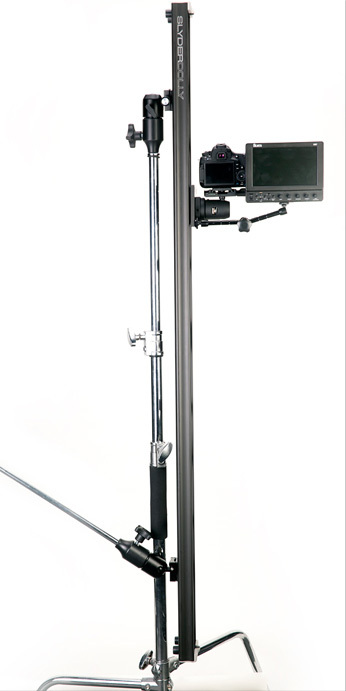 It also means you can set the C-stands at slightly different heights on uneven ground and still keep your shot level or set them to dramatically different heights to get a smooth diagonal tracking motion. 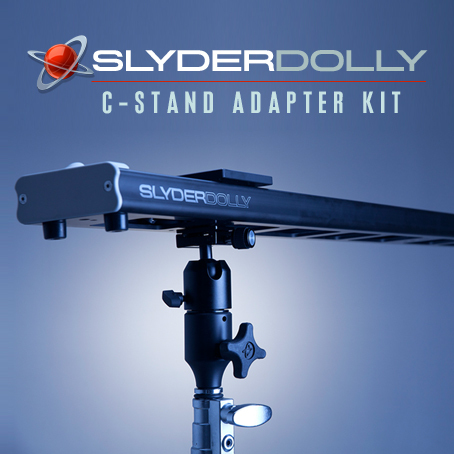 The C-Stand Adapter Kit allows for a wider variety of angles on your tracking shots and more flexible adjustment of your setup when using the Slyder Dolly. 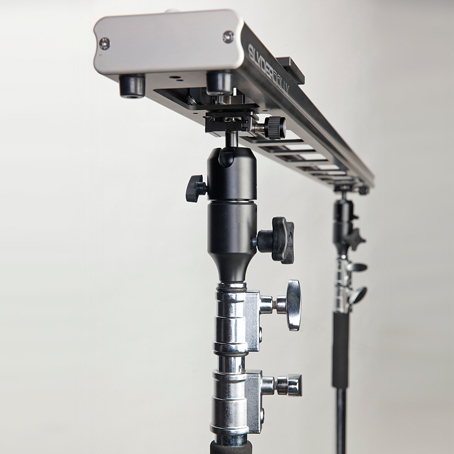 This means your shooting platform is more versatile and can handle more complex shots. 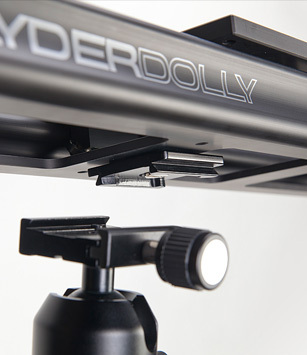 The quick release wedge plate on the top of the adapter can be easily attached to the underside of the Slyder Dolly and left in place for quick and easy placement of the Slyder Dolly on your C-stands with adapters attached to them. 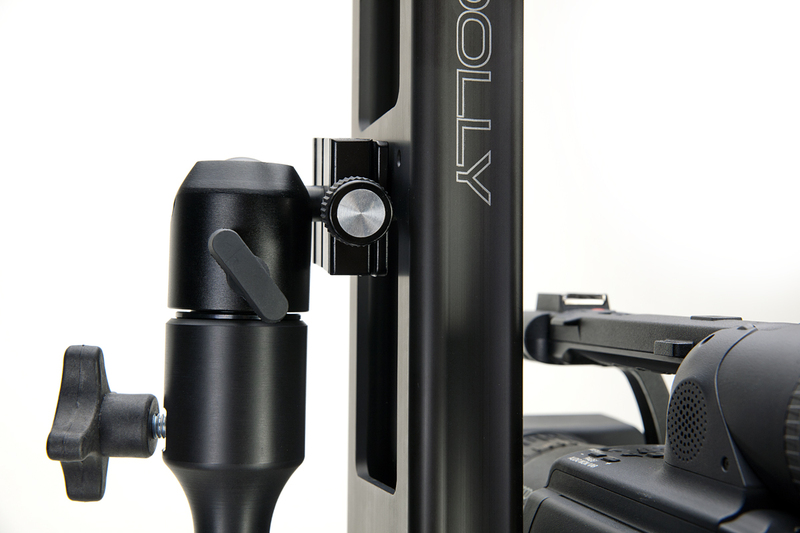 Built from solid components that are firmly affixed to one another, the C-Stand adapters are rugged enough to travel in your production kit without damage and strong enough to support the weight of the Slyder Dolly and your camera rig with ease. 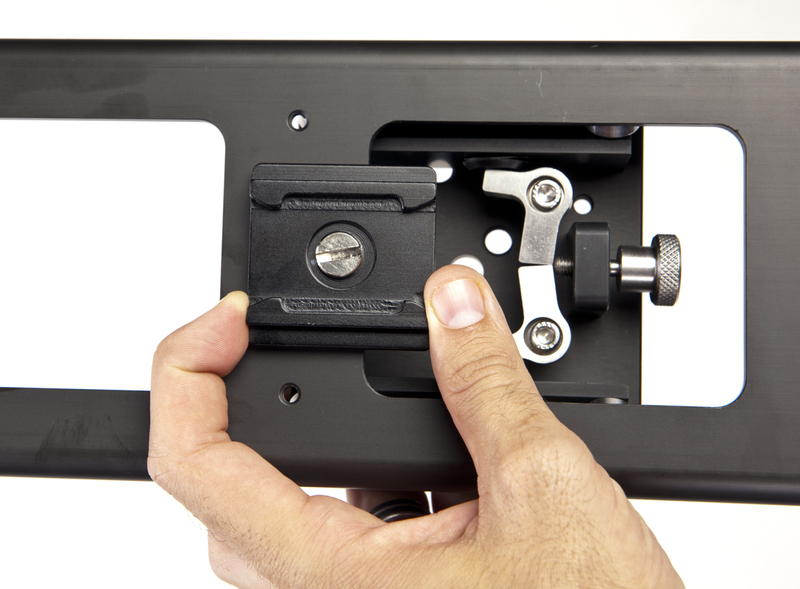 The quick release wedge plate has a safety mechanism that won't allow the plate to come off the C-stand adapter, until the release button is pushed in. 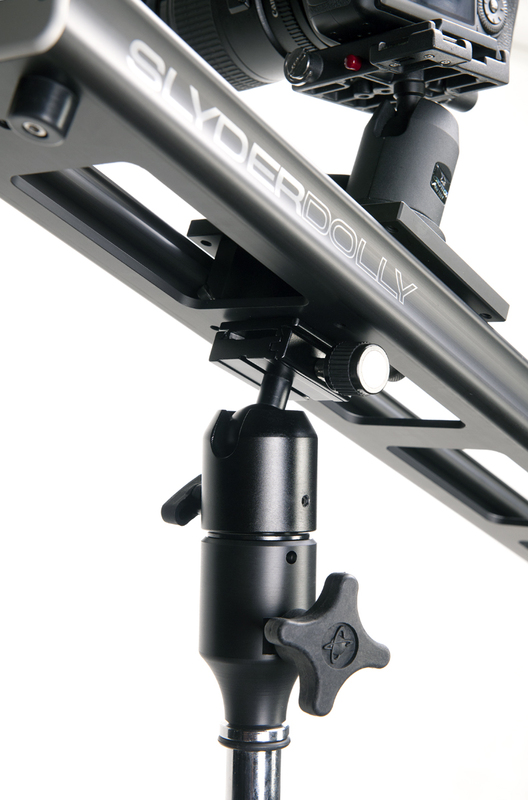 The wedge plate also has two grip strips that keep it firmly secured against the Slyder Dolly and prevent any twisting during use. 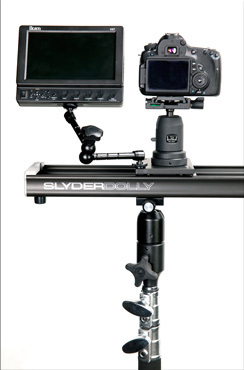 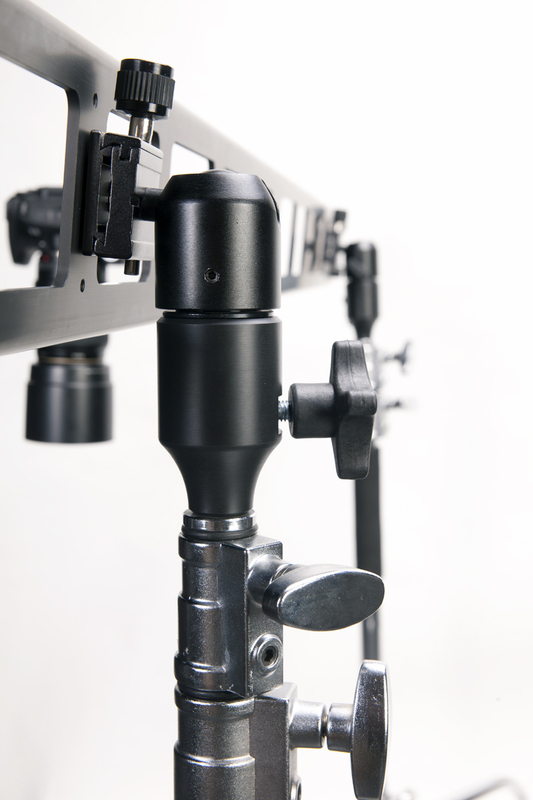 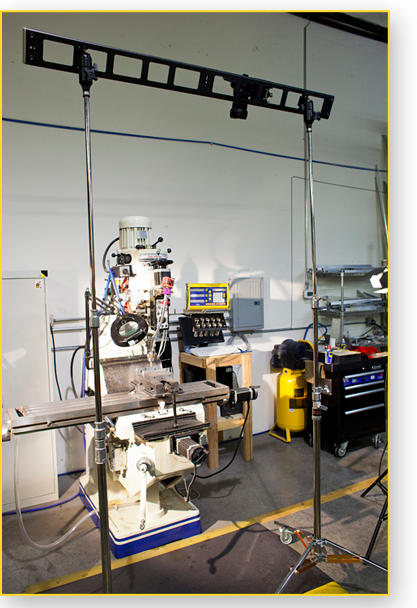 The first step in installing the Slyder Dolly C-stand adapters is to attach the units to your C-stands. 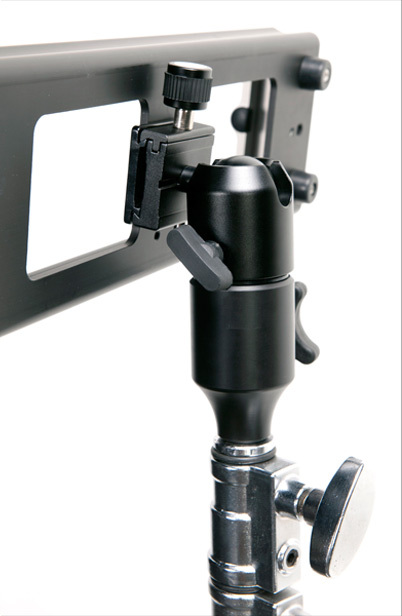 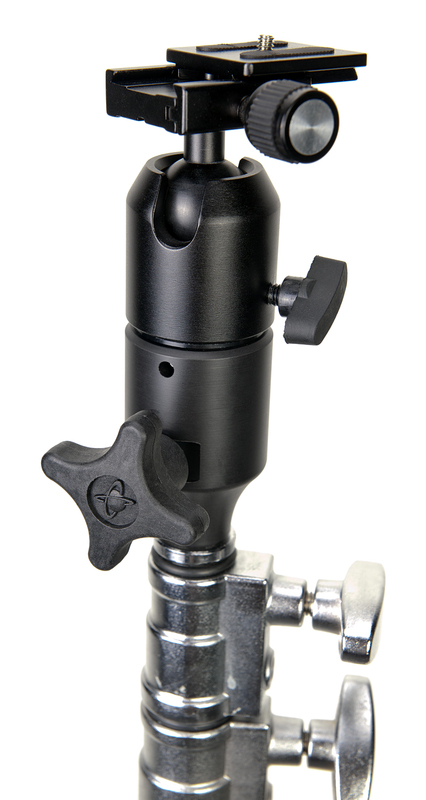 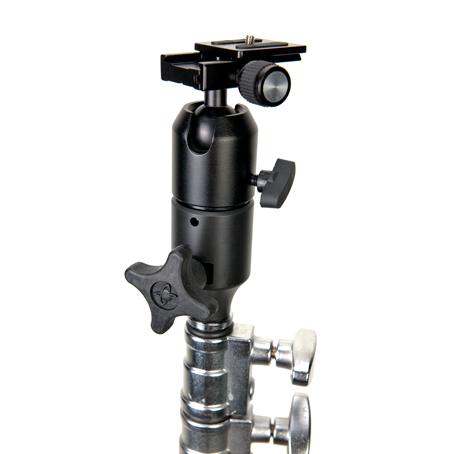 They easily drop into place onto the 5/8" pin at the top of the C-stand and lock into place with the ergonomic easy-twist knob on the base of the adapter. 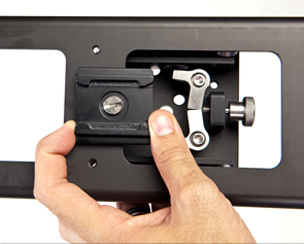 Next, remove the quick release plate from the top of the adapter unit by loosening the wedge plate's locking knob and depressing the safety button on the side. 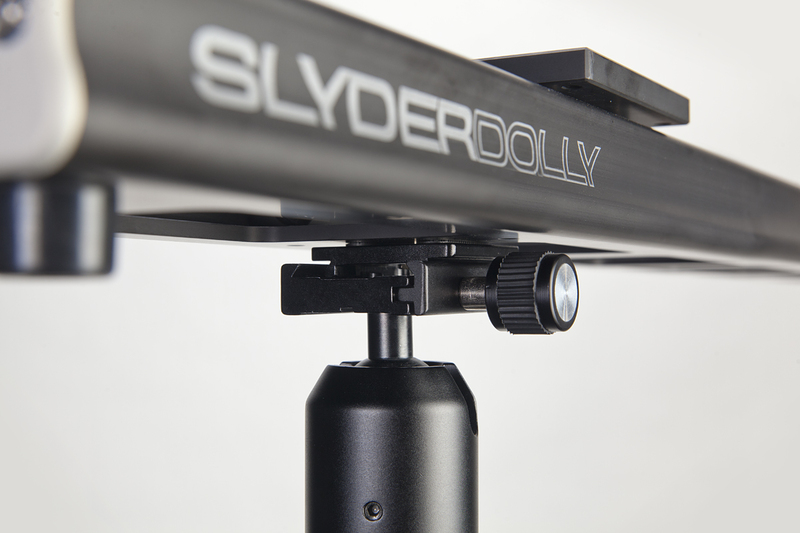 You can then screw it in to the 1/4-20 holes provided for this purpose on the bottom of the Slyder Dolly. 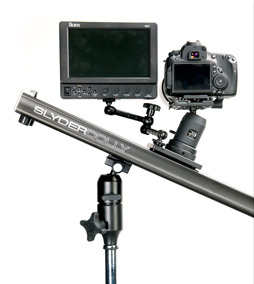 Now, attaching your Slyder Dolly to your C-stands is as easy as sliding the quick release plate attached to your dolly into place on the adapter installed on the C-stand and locking it into place with the locking knob. 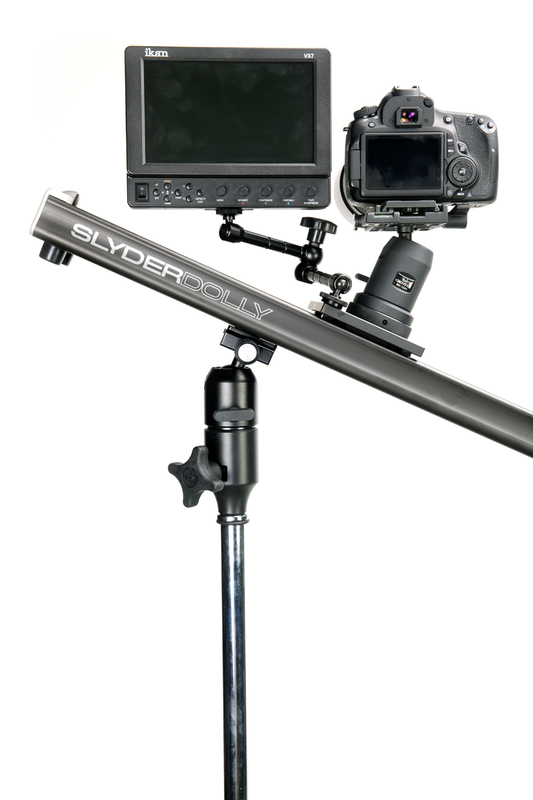 Once you have your Slyder Dolly firmly secured to the two C-stands with the adapter units, you can start shooting at a wide variety of angles. 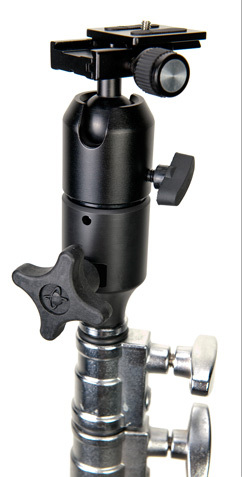 Adjusting the swivel of the ball head on the top of each adapter is as easy as loosening and then tightening the twist knob on the side of the ball head part of the adapter unit. 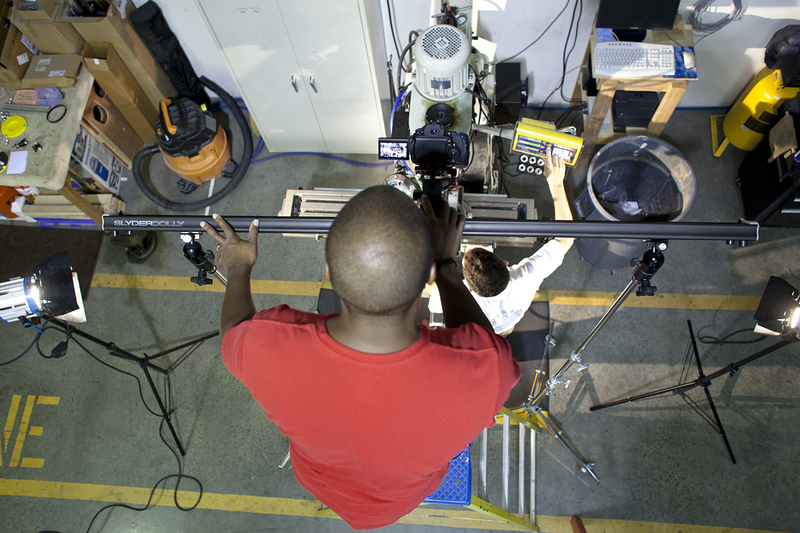 Once locked down into place, you can start your tracking shots, whether they are horizontal, vertical or diagonal. 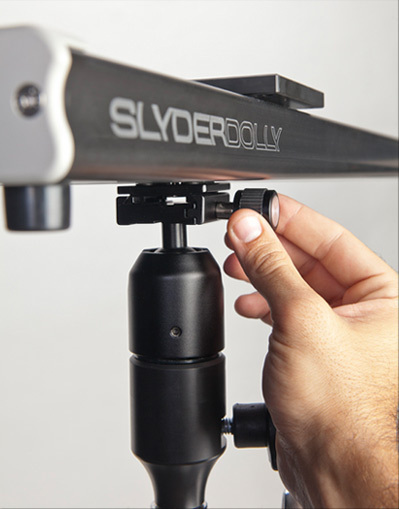 Smooth vertical tracking shots can be achieved with the Slyder Dolly when the C-stand adapter ball head is set and locked at a 90 degree angle at one end of the dolly. 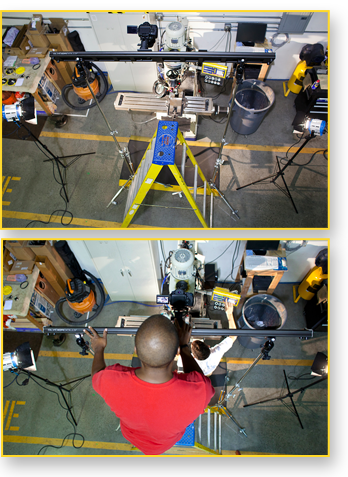 When the Slyder Dolly is mounted horizontally on two C-stands and angled down using the C-stand adapter ball head, you can get dramatic "from above" tracking shots that would otherwise be impossible in the given environment. 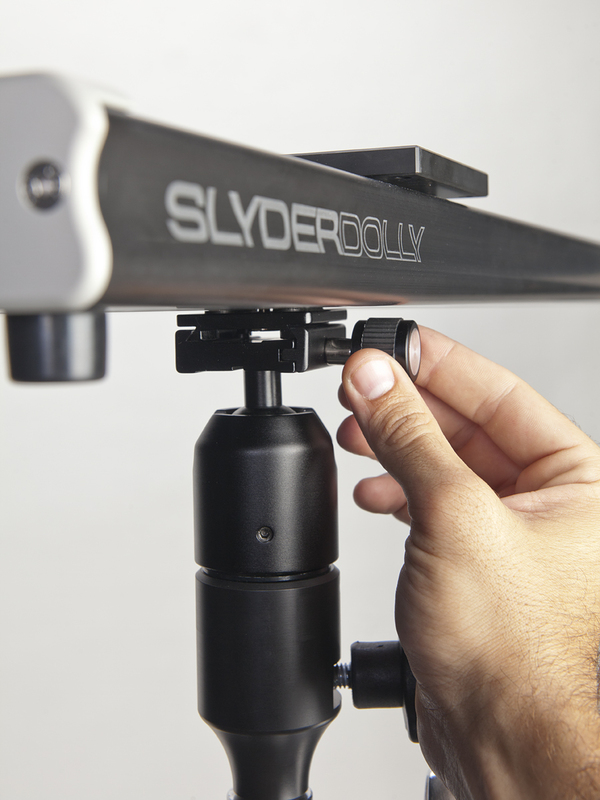 More flexible shots when the Slyder Dolly can be tilted or set at an angle The C-Stand Adapter Kit allows for a wider variety of angles on your tracking shots and more flexible adjustment of your setup when using the Slyder Dolly. This means your shooting platform is more versatile and can handle more complex shots. 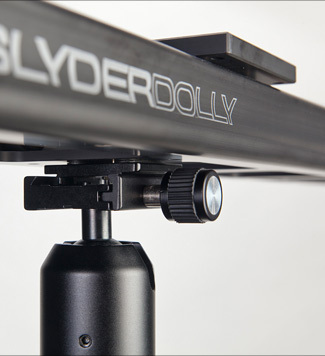 Quicker and easier setup & knockdown of the Slyder Dolly The quick release wedge plate on the top of the adapter can be easily attached to the underside of the Slyder Dolly and left in place for quick and easy placement of the Slyder Dolly on your C-stands with adapters attached to them. 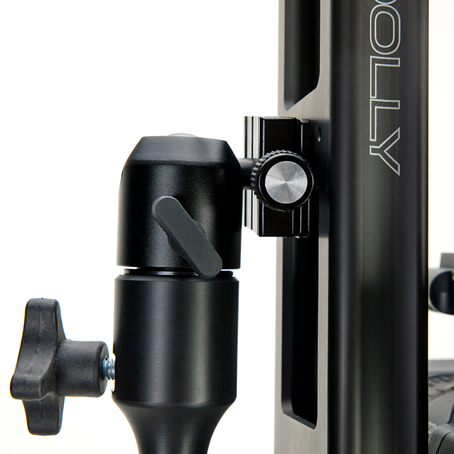 Sturdy construction means longer life & greater dependability Built from solid components that are firmly affixed to one another, the C-Stand adapters are rugged enough to travel in your production kit without damage and strong enough to support the weight of the Slyder Dolly and your camera rig with ease. 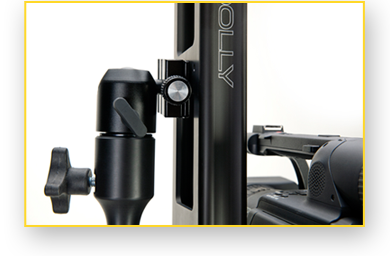 Built-in safety features mean no worry about damage or reliability The quick release wedge plate has a safety mechanism that won't allow the plate to come off the C-stand adapter, until the release button is pushed in. 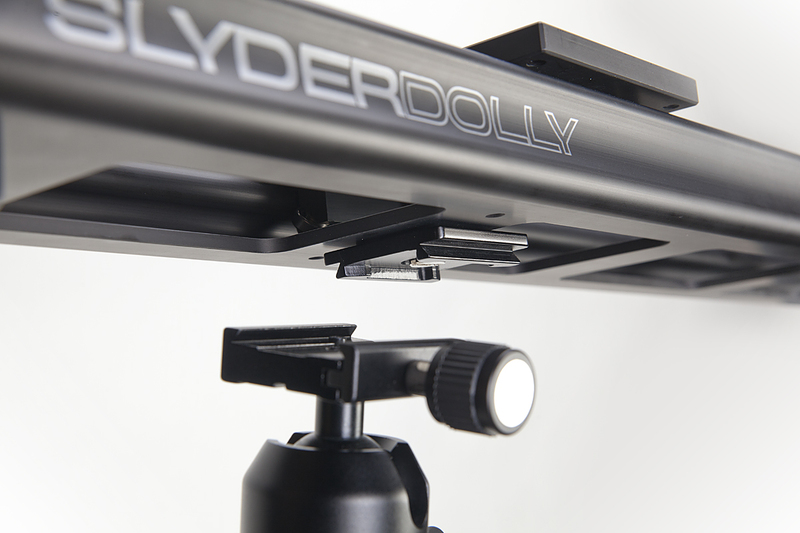 The wedge plate also has two grip strips that keep it firmly secured against the Slyder Dolly and prevent any twisting during use.